George Cavendish, the fourth child and eldest son of Thomas Cavendish, was born on 21st June 1494. 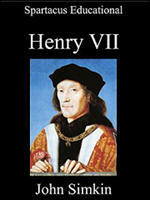 His father worked as a clerk for Henry VII and Henry VIII. Cavendish studied at the University of Cambridge. His first wife died shortly after the wedding. 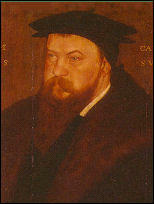 George Cavendish died in about 1562. And thus the world began to be full of wonderful rumours not heard of before in this realm... Then began other matters to brew and take place that occupied all men's heads with diverse imaginations, whose stomachs were therewith full filled without any perfect digestion. 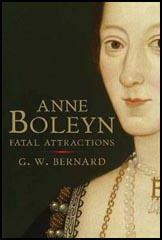 the long hid and secret love between the king and Mistress Anne Boleyn began to break out into every man's ears. According to Cavendish, Percy began by going to the Queen's chamber `for his recreation' and ended by being deeply enamoured of Anne, an affection which she returned. "There grew such a secret love between them that at length they were ensured together" (that is to say, they were bound together by a promise of marriage or a precontract). 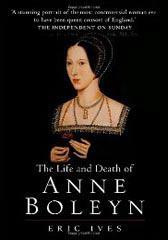 Again according to Cavendish, Cardinal Wolsey put an end to the romance - hence Anne Boleyn's subsequent hatred of him - at the request of the King (whose motive was said to be his own predatory intentions in that direction).